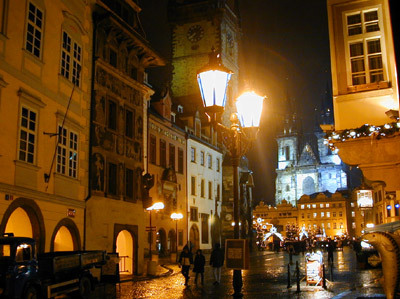 Click following to help you find other Czech translation services. 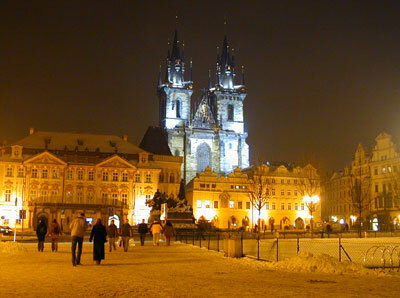 Click following to help you find jobs in the Czech Republic. 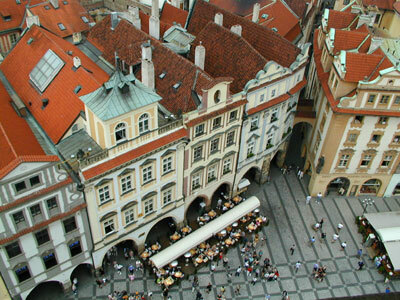 Click following for travel advice to the Czech Republic. The Czech Republic (Czech: Česká republika) is a land locked country in Central Europe. The country borders Poland to the north, Germany to the northwest and west, Austria to the south, and Slovakia to the east. 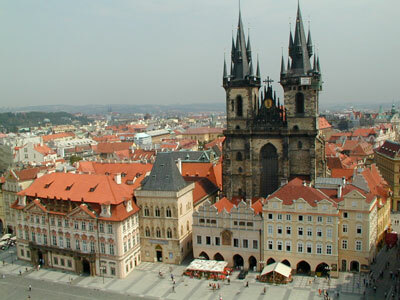 Historical Prague (Czech: Praha), a major tourist attraction, is the capital and its largest city. The country is made up of two older regions, Bohemia and Moravia, and part of a third one, Silesia. The country joined the European Union in May 1 of 2004. Archaeologists discovered evidence of prehistoric human settlement in the area dating back to the Neolithic era. In the classical era, from 3rd century BC Celtic migrations, the Boii (see Bohemia) and, later in the 1st century, Germanic tribes of Marcomanni and Quadi settled there. During the Migration Period of roughly the 5th century, many Germanic tribes moved westward and southward from Central Europe. In an equally significant migration, Slavic people from the Black Sea and Carpathian regions settled in the newly emptied lands (a movement that was also stimulated by the onslaught of peoples from Siberia and Eastern Europe: Huns, Avars, Bulgars and Magyars). Following in the Germans' wake, they moved southward into Bohemia, Moravia, and much of present-day Austria. This movement marked the Slavs' emergence from historical obscurity. During the 7th century, the Frankish merchant Samo, supporting the Slavs fight struggle against their Avar rulers, became the ruler of the first known Slav state in Central Europe. The Moravian principality arose in the 8th century (see under Great Moravia). 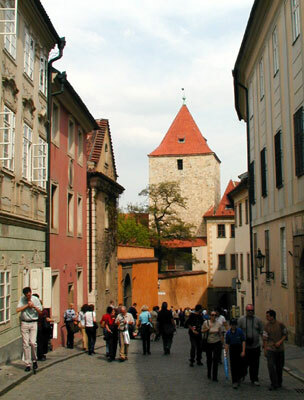 The Czech state emerged in the late 9th century when it was brought under one head by the Přemyslids. The kingdom of Bohemia was a significant local power, but religious conflicts such as the 15th century Hussite Wars and the 17th century Thirty Years War were devastating. It later came under the Habsburg influence and became part of Austria-Hungary. Following the empire's collapse after World War I, the Czechs and neighbouring Slovaks joined together and formed the independent republic of Czechoslovakia in 1918. This new country maintained a large German minority, which would lead to the dissolution of Czechoslovakia when Germany successfully annexed the minority through the Munich Agreement in 1938, and Slovakia gained greater autonomy, with the state renamed "Czecho-Slovakia". Slovakia broke away even further in 1939 and the remaining Czech state was occupied by the Germans who installed a puppet-regime named Protectorate of Bohemia and Moravia, where the Czech President and Prime Minister were subordinate to the Nazi Reichsprotektor ('imperial protector'). After World War II, a reconstituted Czechoslovakia fell within the Soviet sphere of influence. In 1968, an invasion by Warsaw Pact troops ended the efforts of the country's leaders to liberalise party rule and create "socialism with a human face" during the Prague Spring. In 1989, the country regained its "freedom" through a peaceful "Velvet Revolution". On January 1, 1993, Czechoslovakia peacefully split in two, creating independent Czech and Slovak republics. 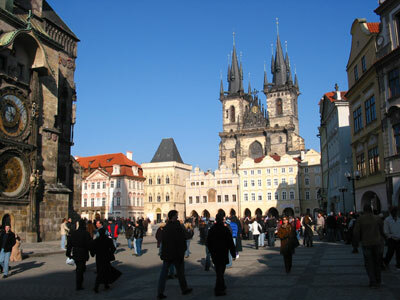 The Czech Republic joined NATO in 1999 and the European Union in the year 2004. The Czech Republic, like most of Europe and unlike America or Australia, has limited available space, which influences the population’s perception of distances. Even a one-hour drive is a significant undertaking. On the other hand, Czechs like to travel both within the country and abroad. Building and housing space is also influenced by geographical constrictions, where a vast majority of the population (even in small towns) lives in apartment block buildings, a popular cheap form under communism of housing its people. the Czech population's mobility is also very limited, where people are reluctant to move for work even in times of growing regional unemployment. This is partly caused by the shortage of rent-controlled housing but also by the strong attachment many residents have to where they grew up. Personal space is also smaller (see below0. The Czech concept of time is mostly compatible with its western perception as a commodity. People are expected to be on time and typically are, and customarily there is a limit of a 15 minute wait on appointments and referred to as akademická čtvrthodinka (academic quarter-hour). Nowadays, however, especially during business dealing, it is inappropriate to be more than 5 minutes late. The Czech daily schedule begins and ends earlier than most of western Europe. Czechs are by nature egalitarian and frown on status and its outward representation, where knowledge and ability are more worthy of respect. The Czech proverb šaty dělaj člověka (clothes make a person) is very representative of this belief, as is the importance attached to academic titles. What is very important, however, is to distinguish between formal and informal language and situations to choose appropriate forms of address. Formal and informal forms of address are used even with people of the same age. The elderly have certain prerogatives by virtue of their age, for example, and younger people are expected to give up their seats on public transportation. The Czech dress code differs from western standards. In general, Czechs frown on shabby or unruly clothing and disregard for appearance. However, they tend to dress less formally for work (a computer expert in a suit is an exception) but more for social events. Even a visit to the movies or restaurant, let alone the theatre, requires better clothing. Jeans worn to an opera are a surefire way of identifying a tourist. Having a sense of humour and the ability to take things lightly is probably the most valued quality in a person. Modesty is also a very important virtue. For example, the proper response to a compliment is not to say thank you but to disagree. Disregard for material things can be seen in tipping, where you are not so much paying for service as showing disregard for small change. A down to earth mentality is also regarded highly. King Wenceslas IV is famous for seeking advice from commoners while in disguise, and one of Václav Havel’s often quoted virtues was his propensity to go out drinking with his buddies, accompanied only by a bodyguard or two. Family ties here are closer than in America, but that is often due to space limitations. Czechs consume the most beer per capita in the world. This number is even higher if we consider that most Moravians prefer wine. Wine and beer are never combined, but some drinkers put liquor into their beer. Dining out is not common among Czechs and is considered something of a treat, although this is slowly changing as a more western life-style is adopted by the younger generation. Table manners are very important and it is considered a sign of bad upbringing not to use knife and fork in the continental manner. Making any slurping noises while eating is considered outright rude. Traditionally, drinks are served after meals (according to traditional lore) and in some restaurants you need to ask if you want to drink before eating. Courses are served in a strict order (soup, main course, salad, dessert) and many combinations of foods are uncommon or downright repulsive to a Czech. Such as rice and fried chicken or beer and a pancake. Čistota půl zdraví. (Cleanliness is half your health) is a Czech proverb showing that cleanliness and hygiene is important for Czechs. Czech hygiene habits, however, differ from Western-European and especially American ones. Most notably, Czechs are not as conscious of body odour as are other nations (particularly Americans and the Japanese) and many do not use deodorant. Czechs are, however, conscious of the cleanliness of their personal environment. For example, when entering a home, shoes must be removed. Another example is where showering or bathing is traditionally done prior to sleeping to wash off the day's dirt and to keep bedding clean. It is absolutely unacceptable to step on something used for sitting while wearing shoes, or putting raising your feet with shoes on. As mentioned above, education is very important for Czechs and obtaining an academic title is an important goal for many people. The Czechs attitude towards foreigners is at once superior and inferior. They ridicule them for strange habits or funny foods, and despise certain behaviours typical of tourists, but while on the other hand they respect other countries' economic, political or cultural achievements. For the past forty years, Czechs have lived in a culturally and racially homogeneous environment, which resulted in latent racism in most Czechs. 45% of the population would prefer that the Gypsies left. Czech racism is not philosophical, meaning they do not believe that other races or nations are inherently better, but due to a lack of exposure there is a high level of xenophobia (fear of the unknown), sometimes leading to racial violence. Romany/Gypsy: The only major racial and cultural minority are the target of most racist attacks. Black: Blacks are not viewed negatively by Czechs and their attitude towards them may be described as timid. Asian : Czechs mostly come in contact with Vietnamese street vendors who are known for cheap, lower-quality goods and are considered hard-working and harmless. The skinhead movement, however, is distinctly racist and its members, distinguished by cropped hair and green jackets, are responsible for most violence. Some values that have an influence on meeting Czechs in the Czech Republic. It is difficult to make new friends in Czech culture. One meets new people through work and clubs but deep friendships rarely result after a short period. The most common way of meeting new people is through introduction by a mutual friend. Even then a friendship (not acquaintance) forms only after a considerable period of time. It is rare to meet new people in public places (with the exception of bars). People will be surprised if you strike up a conversation with them, but will go along. 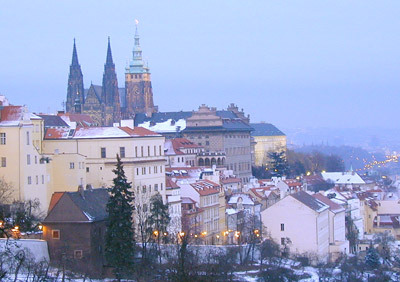 Eastern European cultures, including the Czechs, are often thought of as more collectivist than cultures to the west of Prague. This though is a very deceptive label. Compared to Western Europeans and Americans, Czechs are much less likely to congregate and form professional or other interest groups. That is not to say that such groups are not common but rather, they are not as prominent in people’s lives. For example, there is no true equivalent to the American Chambers of Commerce, or country clubs. Business and pleasure are more strictly distinguished. There are two reasons for this: One is the time it takes to form deep friendships, and a reluctance to meet new people. There is no equivalent in the Czech language for the English term networking. The other reason is due to the 40 years of communism. Most groups had a political context and participation was mandatory, where professional and other interest groups had to be careful not to overstep the mark. This resulted in general dislike for working together as a group. A similar situation holds for joint collective efforts. An interesting example is the woes of an American coaching a Czech amateur baseball team. While hailing Czechs as excellent athletes, he had to admit that their major weakness was the ability to play as a team, making them vulnerable to defeat by a team of inferior players working well together. Family ties are closer - mostly because children often live quite close to their parents. Children are often forced to live with their parents even after they marry because it is next to impossible for them to find an apartment. Another factor is the low mobility of Czechs, and it is still rather exceptional for a Czech family to relocate due to a new job opportunity. Feminism has not gained wider popularity among Czech women, perhaps because it was perceived as a radical movement. The situation of Czech women also differs from that of American feminists of the 60s in that women commonly work in a wide range of professions. Because of its structure, the Czech language is not particularly sexist. Another important point factor is the reluctance of Czechs after following the fall of communism to congregate in organizations. However, the female situation is far from ideal as they are still expected to fulfil their role as mothers and caretakers on those grounds that it would be more difficult for them to enter into certain professions. There are only a few women in politics, high medicine and top managerial positions. On the other hand, women have traditionally worked in all levels of education and research. How does the typical Czech day, week, month or year look like? May it impact on how foreigners interact with Czechs? 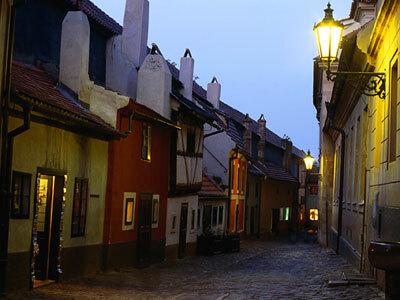 Traditionally, Czechs are very early risers, shops opening at 7 am and offices at 8. Factory workers often clock in even earlier, this dating to a the last century insomniac emperor Franz Josef II who liked to start business at 6 in the morning, this trickling down to the entire population. On the other end of the day, everything closes down early, shops closing between 5 and 7 pm and offices even earlier. There used to be so-called ‘night shops’ which would stay open until ten pm and charge 10% extra for the service. In Prague, due to tourist and expatriate influence, opening hours are more international, but the farther one goes from the centre, the more traditional time gets. Restaurants and most pubs close between 10 pm and 11 pm. 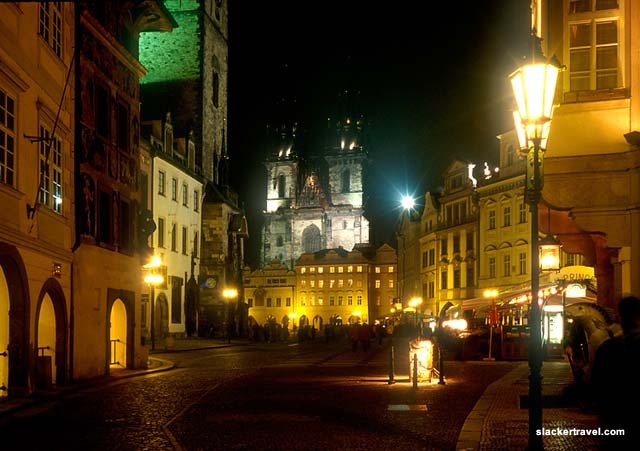 Some bars, mostly in Prague, close later while some stay open through the night. Theatre shows start between 7 and 8 and the last movie shown in Prague starts at 9:30, typically at 8. School starts at 8 in the morning but some classes may start at 7:15 - even at the university level. This affects the average Czech’s daily schedule, where they often get up at 6:00 – 7:00, start work between 7 and 8, with lunch between 12 and 1, to get home at 4 or 5 pm, dinner at 6 or 7, and bedtime at 10 or 11. If you want to socialise with Czechs, you must adapt to this schedule. Even the young and wild don’t go out later than 8 pm but often as early as 6 pm. Parties run past midnight only exceptionally, typically people going home at around 11. The Czech calendar starts the week on Monday, the work week ending on the weekend. Friday afternoon is not a great time to get something done. Traditionally, weekend shopping is done on Friday afternoon and Saturday morning, during when the shops are always crowded. Many Czechs leave the city to spend the weekend at their summer house or cottage, called chata or chalupa. Gardening is a common pastime and many families grow most of their vegetables. Even city dwellers have a small garden on the outskirts of town. As all Europeans, Czechs recognise four seasons, the year beginning on January 1st with the president’s address to the nation. the next important and widely celebrated holiday is Easter, where tradition calls for children to go trick-or-treating on what is called koleda. A traditional treat is a the painted boiled egg or eggshell, or sweet bread baked in the shape of a lamb (although the religious subtext is lost to most Czechs, who tend to be the most atheist in the world). In a pagan tradition, the meaning of which is lost as well, men beat women with a woven stick and women pour scented water on men. July and August are school holidays and a time when most people take their vacations. Schools and many institutions are closed or have reduced working hours. The school year starts on September the first (October 1 for universities). There is also a break for Christmas and a week long break later in the spring. December starts with a holiday reminiscent of a combination of Halloween and Santa Claus - called Mikuláš. Saint Nicholas accompanied by an angel and the devil walk through town, visit families and give treats or small gifts to children if they have been good. Christmas for Czechs is celebrated on December the 24th, when Christmas dinner (specially bred carp with potato salad) takes place and gifts are exchanged. Gifts are delivered by a mysterious baby Jesus (ježíšek) and there is no story informing of where they come from. Except for Christians, the 25th has no special significance. It is called "The Velvet Revolution" because no one was killed. On the 17th of November, as the Berlin Wall was coming down, a student demonstration met with confrontation against the police. There were larger demonstrations, with Havel at the forefront, until the Communist government was forced to resign on the 3rd of December. Havel was elected president on the 29th of December. Although the Czechs did not want the country to be separated from Slovakia, economic realities of the new competitive capitalism differed between these two nations, where the Slovaks had the burden of many former state heavy industries that faced closure and loss of employment. However, it was a peaceful evolution throughout Czech history. Havel resigned his post rather then preside over the break up of Czechoslovakia, but was later re-elected as the first president of the Czech Republic. The Czech Republic first became a member of NATO on the 12th of March, 1999. "The admission of the Czech Republic, Hungary, and Poland into NATO is a recognition of the strategic changes in Central and Eastern Europe and a manifestation of NATO's adaptation to the challenges of the post-Cold War period," stated the Foreign Minister of the Czech Republic, Jan Kavan, at that time. 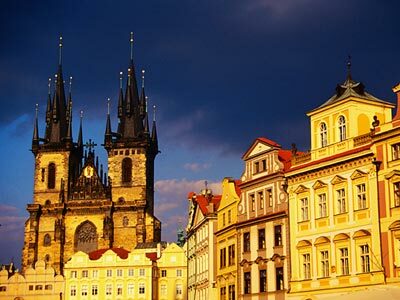 On May 1, 2004 the Czech Republic became a new EU Member State together with nine other Central and Eastern European Countries. However, this historic moment of European reunification was preceded by extensive efforts by the new EU Member States. 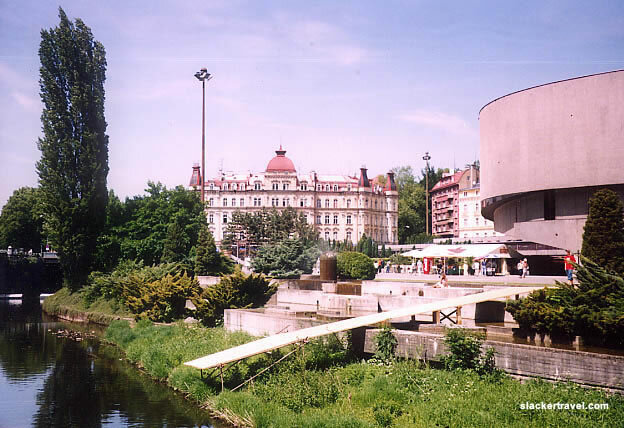 From the very first months following the fundamental political changes in Czechoslovakia in 1989, accession to the EU was regarded and declared as one of the main strategic objectives of the then Czechoslovak foreign policy. This attitude was also adopted by independent Czech foreign policy, which followed from the history, cultural tradition, and economic relations, which clearly ranked the Czech Republic among the advanced countries of Central and Western Europe. This was interrupted for more than forty years, particularly from an economic perspective, and the Czech Republic lost its position in Europe. In the last 14 years, however, the country has been striving to place itself back among the advanced European countries, where it rightly belongs. Where do Czech men get their lovely round figures? Czechs like to admit that "Beer makes for beautiful bodies", an opinion which is plainly obvious throughout the country. In fact, the passtime is so ingrained in the country's culture, society and history that it is considered part of its national heritage. One proverb states "Kde se pivo vari, tam se dobre dari", or "where beer is brewed, there the good times can be found". The country boasts the first beer brewing texbook, written by Frantisek Ondrej Poupe in the 18th century and which instituted the use of thermometers and other measuring devices in the industry. What food goes well with this favoured beverage? Beer goes very well with the Czech national cuisine. For Czechs, it would be unimagineable for the Czech national meal (roasted pork, cabbage and the famous Czech dumplings) to be accompanied by any beverage other than beer. However, if you're sampling beers and you'd like to clear your palate between beers, try a piece of cheese (nothing fancy), a white bread roll, or some mild salami. For the adventurous, try all three. But why even eat? The first Czech cookbook, written by Magdalena Dobromila Rettigova, included a recipe for beer soup! Every region has developed a tasty balance of palates based on local customs and available resources, and in Czech beer is an integral part of the diet. The popular is veproknedlozeli, a combination of pork (verprove), dumplings (knedliky) and sauerkraut (zeli). Of course anything greasy and meaty generally goes excellent with beer. There is also the famous beer cheese platter, where the connoisseur receives a platter of various cheeses, topinka (deep fried garlic bread), perhaps some green peas, and proceeds to mush the contents together with their fork, pouring beer into it and eventually spreading it on the garlic bread. Tasty indeed! Where to drink the beer? Not only is Czech beer deliciously inexpensive, so are the pubs, where it is often as cheap to go out as it is to cook at home. Hence the country enjoys a fantastic pub and beer culture. But although things are slowly changing, expect to walk out of the establishment smelling like a tobacco factory, also deeply ingrained into the culture. Czechs are avid hockey and football/soccer fans, which goes great with beer and you can expect to find the combination in many establishments. 10 degree light beer is the most popular, because it goes down well and you can spend an evening drinking it without getting too drunk. What do you mean by degrees of beer? This system was first devised by a Professor Balling in the 17th century, but has grown to cause confusion as it has become the international norm to refer to the percentage of alcohol content. Basically, the degree is the percentage of wort, or malt extract used during the brewing process, which in turn affects the percentage of sugar and alcohol but is not directly related. Generally a 10 degree beer is around 3.5% alcohol and 12 degree around 5%, but higher amounts can be found, such as 24 degree beer from the Pernstein brewery in Pardubice. Which Czech beer is the best? A famous advertising slogan states "Beer is the best". Meaning, any beer. As the executive director of the Czech Association of Breweries says, "Trying to say which beer is better is like trying to do the same about women. It is, after all, a matter of personal choice". Czech beer is generally brewed bottom-fermented, which is a lager and the first place this type of beer was brewed on a large scale was in the city of Plzen, and from hence came the word Pilsener beer. Isn't Pilsener beer brewed all over the world? Pilsner was first named after the town of Pilsen (Plzen), its brewery developing a beer in 1842 which they named Plzensky Prazdroj (Pilsner Urquell), Prazdroj meaning "true source", Urquell being its translation into German. The brewery actually uses special spring water under the town and which it invests heavily into every year to keep clean. Many breweries have tried to duplicate the production of this beer in various parts of the world, the Japanese going as far scratching bacteria off the walls to bring back to their country, but since water is such an important part of the beer, all efforts have failed to produce a faithful duplicate. The beer is pale golden in colour, no provided only in 12 degrees (about 5% alcohol), with a characteristically well-hopped palate (the country's famous hops are used, of course) and a slightly sweet after-taste. In 1290, King Wenceslas II gave permission to 260 families in Pilsen authority to brew beer. The home of these original families and located in downtown Plzen is now a beer museum - the oldest in the world. It is also location of a microbrewery since 1959. The Pilsner brewery is the first large scaled producer of this type of beer, although its original ingredients were drawn from Bavaria, and it is a little-known fact that prior to 1840 the beer brewed there was some of the worst in the world. Which Czech beer is the most popular? Czechs are generally a conservative lot and this reflects in the beer of their choice. Although a few breweries have and are trying to introduce different types of beers, the bulk available in the country is very similar in character. In a recent survey the order of popularity of Czech beers is as follows: Plzensky Prazdroj (Pilsner Urquell), Gambrinus, Radegast, Velkopopovicky kozel, Budvar, Staropramen and then a long list of beers brewed in the smaller regional breweries. Under 40 years of communism, Czechs would often gather in the pub to complain of the ruling regime, and not being able to change much, at least they could protest regarding their beloved beverage. Like with gas in the US, any communist political party increasing the price of beer essentially declared political suicide, and the price of Czech beer is now relatively very low compared to the purchasing power of its population. But globalisation has also not been kind on the Czech beer brewing industry. Medium sized breweries which reigned in many regions were swamped out by price dumping practices of the larger and stronger breweries, most of which were sold off and acquired by multi national concerns, Pilsner Urquell, which also produces Gambrinus and which acquired Radegast, which also brews Velkopopovicky Kozel, was acquired by the third largest brewery concern the world, South African Breweries. Staropramen, which also brews Branik, was acquired by the world's second largest brewery concern, Interbrew, a Belgian company. You mentioned Budvar. Is this the same beer as Budweiser? But one beer which has survived the invasion of globalisation is Budvar, still a 100% state owned company. A status which helps it in jurisdiction disputes where it can sell its beer and under what name, due to a European law giving strength to a products location of origin, such as Beaujolais wine of France and Feta cheese of Greece. In its disputes the Americans tried to claim their bud is the original, but the Czechs unearthed an old statement that in 1876 Adolphus Bush wanted to brew some Bohemian or Bavarian type beer in America and went to Europe in search of inspiration. Budweis is the German translation of Budvar, and the Czechs proudly declared in court that when they started brewing their beer there was nothing other to be found than mosquitos where Budweiser is now brewed. Nevertheless, the original agreement stipulated that the Czechs could not sell their beer for a hundred years on the North American continent. Since the Americans, as Budweiser is the largest brewery concern in the world (producing annually 5 times that produced in the entire Czech Republic), sell their beer in Europe, Czechs have managed to make inroads into the US market, much to the inflamed protests of their American counterparts. But not being able to use word Bud in their beer, they sell it under the name and logo as "Czechvar: Yes, this is the beer you think it is". Both breweries are presently entangled in trademark disputes regarding the use in Europe of the name "Budweiser" with its variations for their two very different beers. Budvar calls itself, with some justification, "The Original Budweiser", while the American brewer has been using the name "Bud". Hopefully the government will not privatise and sell of this last of our family silver. Are foreign breweries successful in the Czech beer market? As a country, Czechs drink the most beer in the world, beaten regionally only by Bavaria of Germany. Then again, Moravians (the eastern part of the country) give greater preference to wine, while the massive tourist industry to Prague might also have a minor influence on overall beer consumption. So you can imagine international interest in selling various foreign beers in the country. But with the extremely low price of beer here and the conservative and loyal nature of Czechs in general, foreign beers have achieved less than one percent penetration. So instead, the foreign companies who bought into Czech breweries are exporting its beers to their own country and elsewhere in the world, with substantial and growing success. "Chauvinism and prejudice can color a wide choice of beers. Drinkers from one country often dismiss with contempt the beers of another without wholly understanding what is available, where it can be found, how it should be served, and why it is worthy of appreciation. They miss much." Michael Jackson in his famous "The World Guide To Beer". What are some good Czech urban legends about beer? Some say that drinking beer extends your life because it reduces aluminum levels in the body and hence the effects of aging and Alzheimer's disease. Although a recent German study showed that two beers a day will reduce the risk of heart attack, the fact that Czech so often boast they (the average of the country, "including breast feeding toddlers") consume 5 beers a day and that they have one of the lowest life expectancy in Europe, one may contest this. But the highly greasy diet and smoke filled pubs may also have an influence on this. Otherwise, this favourite Czech beverage does contain natural B-complex vitamins, has been used as a healthy shampoo, does have nutritional value and hence often referred to as "liquid bread". How about some tips for drinking Czech beer? The best temperature to serve beer is between 7-10 degrees Celsius, and as anywhere, one should seek out pubs who know how to clean their pipes regularly and serve it at the correct temperature. Or at least pubs with very high beer turnover and lots of big bellied Czechs warming up the wooden benches, so the beer does not sit stagnant in the pipes too long and always flows out tasting fresh and crisp, as a good beer should. 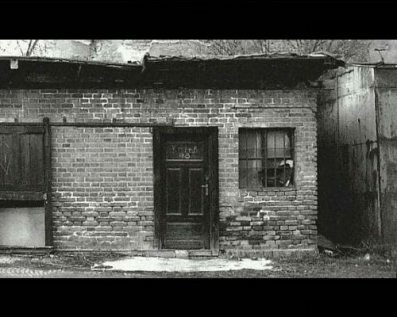 According to the Oscar-nominated Czech film "My Sweet Little Village", beer should be stored on the seventh step down to the cellar. Otherwise, when toasting, a common method is to clink glasses, then the table, and then to the month. Signifying that whether the lofty nobleman or the honest blue collared worker, we are all brothers in beer when drinking together around the table! "A Beer-Drinker's Odyssey Begins on the River Vltava"
In 1913 the world was amazed to learn that as many as 19 different types of beer were brewed n Mesopotamia 5,000 years ago. So it is perhaps fitting that the archaeologist who first deciphered the Sumerian tablets was a Czech. Beer has place in Czech's early history, evidence pointing to its brewing as early as the year 859 and already exported by 903. 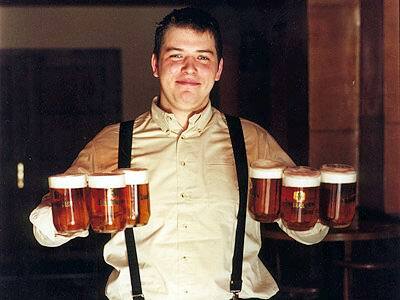 Britain's authority Michael Jackson claims that the Czechs are the number one beer-brewing nation in the world. Beer is considered a part of the country's national heritage. 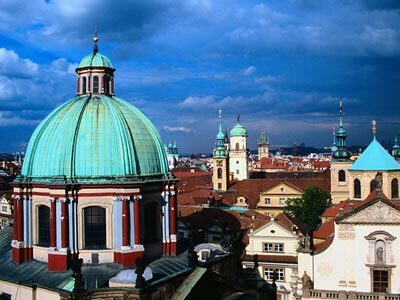 Being practically in the centre of Europe, and one of the few jewels of Europe or even the world not ravaged by the mindless destruction of war, Prague enjoys a healthy tourist industry. But many tourists and even foreigners living many years in Prague are not aware of the beautiful and also culturally and historically rich countryside which may be found in the country. Below are some examples. Sedlec is a small town near Kutna Hora and which has what might be Central Europe's most interestingly weird chapel, adorned with the bones of more than 40,000 victims of the Black plague and the religious wars of the late middle ages, arranged by a bored woodcarver a few hundred years later into various coats of arms, a huge functioning chandelier and other curious items. 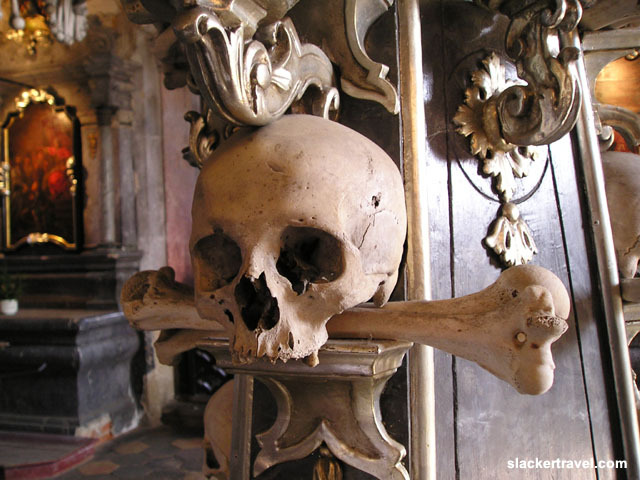 The bone-church of Sedlec was originally a gothic structure from the 14th century and consists of two chapels built on top of one another. In the early 18th century the church was rebuilt in the Baroque style. The original graveyard was built by the town's monks and at that time was the only cemetery to be found in the region. It was founded in 1278 by Sedlec's abbot Jindrich who was sent to deliver a message to Jerusalem, from which he brought back a handful of dirt from the hill of Calvary (hill of skulls). After that the cemetery was referred to as Holy Earth and many people from surrounding regions and countries buried their dead there. 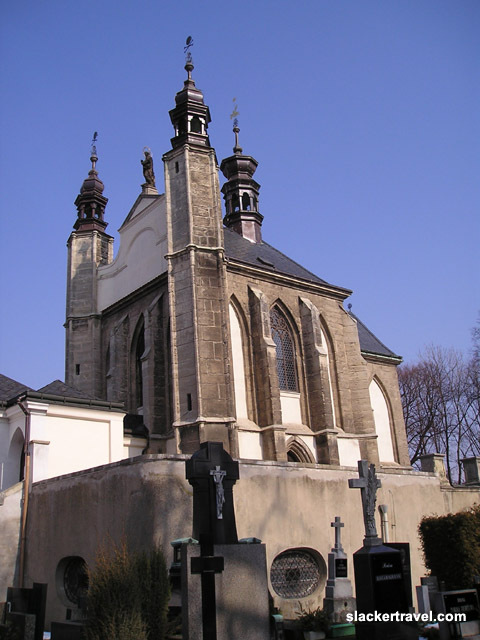 In the 16th century the size of the cemetery was reduced and the bones from some 40,000 people, almost all from the middle ages and resulting from the plague of 1318 and the Hussite wars of 1421, were laid by local monks into the church. In 1526 a woodcarver began to arrange the bones, composing a hanging chandelier in the chapel's centre composed of all bones of the human body. 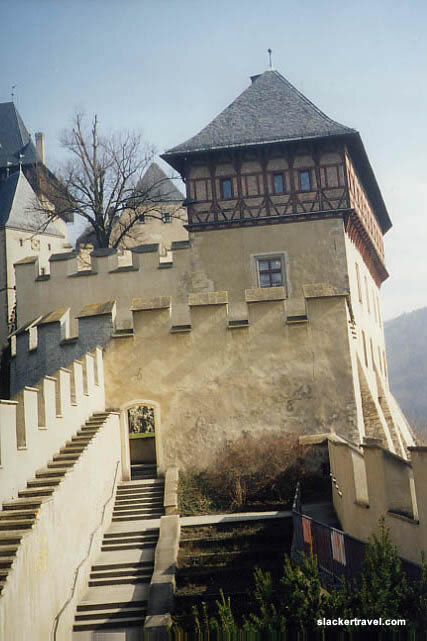 There is also a large coat of arms from the princely Schwarzenberg family and on many of the skulls one can clearly find battle indentations from the Hissite wars. 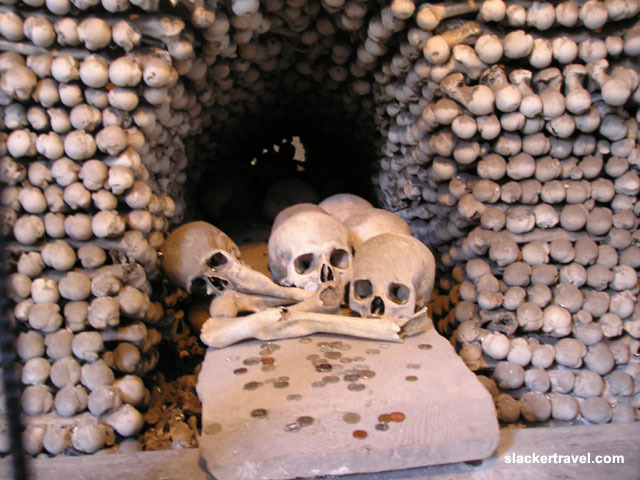 The corners of the chapel are piled up with bones to form bell shaped pyramids, and interesting decorations and chalices can be found at the entrance. The reason for the configurations is to portray the fleeting nature of life and inspire us to appreciate life and strive to get along with one another during our short time on earth. To get from Prague take the train to Kutna Hora, or say you are going to "Kutna Hora Sedlets", as there is also a "Prague Sedlec". Once off the train, follow the train tracks along the main road for about half an hour, although there is also a small train service going to the church. There is also an upper chapel, but not really worth seeing, and you will have to pay extra if you want to take pictures or video (even more expensive). The town also has what was to be the largest cathedral in Europe, built from the money of silver miners a long time ago. But the silver ran out and so construction of the cathedral ceased. Impressively large nevertheless. And check out the cool gargoyles! 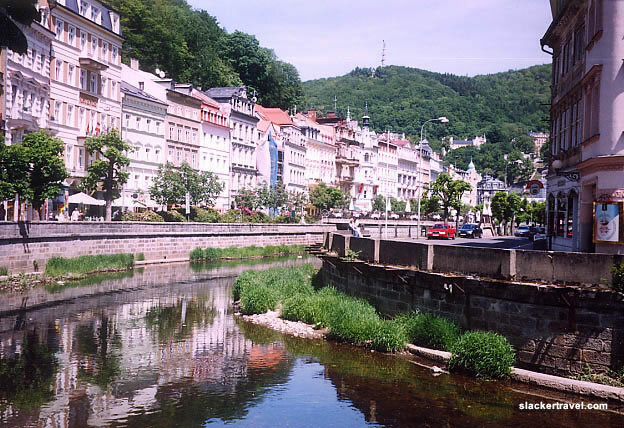 One of the most beautiful parts of the country is Bohemian Paradise and very much worth seeing. Beautiful Czech girls are also certainly worth seeing! Vaclav Havel was a playwright and dissident against the communists, eventually thrown into jail for his views and uncompromising stance. Such qualities which propelled him to the seat of presidency following the demise of the communist regime. Shirley Temple became an ambassador of the county and lived in Barrandov, where one of the largest film studios in Europe is located. Frank Zappa, popular under communism because of his outspoken views, was selected by Havel to become the countries Minister of Culture and Foreign Affairs, but this was frowned on in Washington and he eventually only took the position unofficially. The Czechs also like to celebrate an interesting and fun tradition called witchburning or carodejnice.